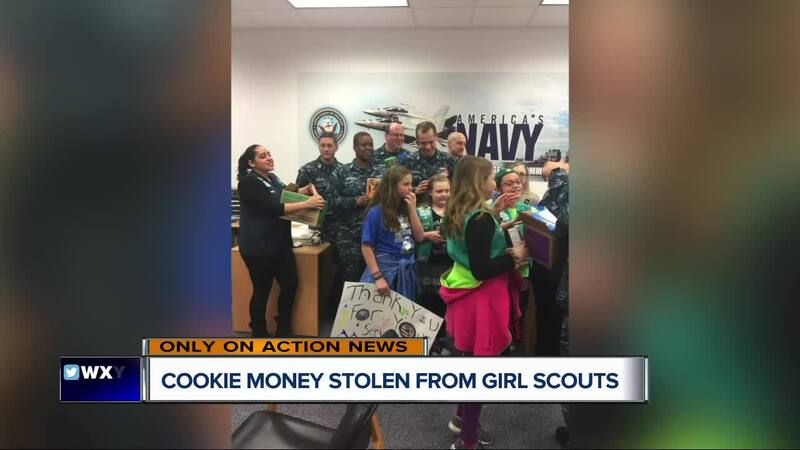 A group of girl scouts says someone stole their cookie money. ST. CLAIR SHORES, Mich. (WXYZ) — Who stole the money from the cookie jar? 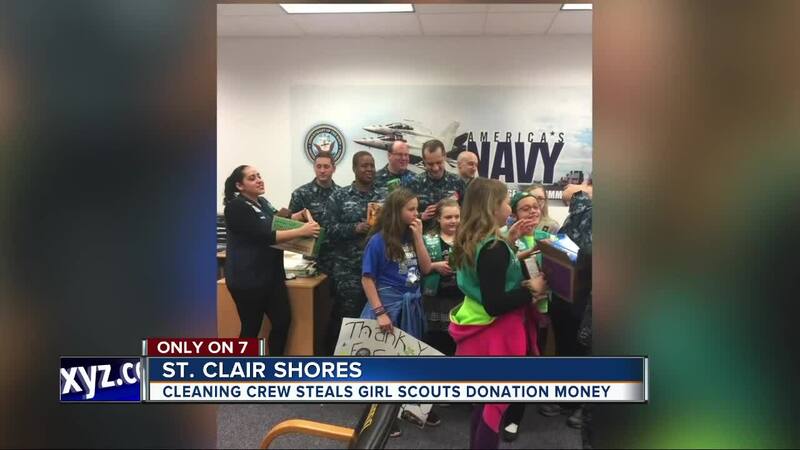 That’s what a Girl Scout troop in St. Clair Shores sure wants to know. Cash the cadets were raising went missing. and one of the troop leaders has a lead on who did it. The money was stolen from one of the troop leaders homes after,a cleaning crew showed up. The military family is getting ready to move from Michigan and wanted the house to get a deep cleaning to put it on the market. Once she noticed the money was gone, she immediately called the cops, filed a report and took to Facebook. The response was overwhelming warm. People have already started to donate money to help fill the jar back up. The cleaning company has returned the cleaning fee. If you would like to join the cause the Girl Scouts Cadets from Troop 76444, The Unicorns will be at the St. Clair Shores Ace Hardware at 23245 Greater Mack Ave. The troop will be there Saturday, March 2nd, from 11am- 3pm. So stop on by!